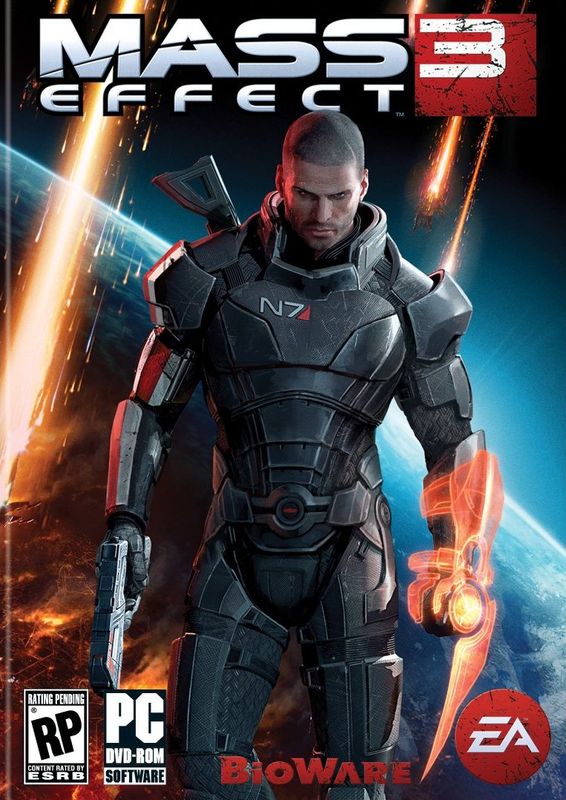 Review: Mass Effect 3 – Brendan Mancilla, Author. To offer a brief background on the series, Mass Effect’s major conceit is that the universe is networked by teleportation hubs, called Mass Relays, that slingshot starships across the galaxy in the blink of an eye. At the heart of the relay network is the Citadel, an enormous space station that functions as the heart of galactic society. These these seemingly benign ancient devices are really the backbone of a repeating cycle of extinction and rebirth that is plotted and executed by sentient starships called Reapers. By the start of the Mass Effect 3 the Reapers have arrived in full force and are exterminating hundreds of worlds. In the spirit of preventing the annihilation of all sentient organic life, Shephard puts his best boot forward and hits the road to stop them. Mass Effect 3’s story is largely about the fruition of the decisions made in Mass Effect 1 and 2; there aren’t many groundbreaking surprises in the final installment because it so heavily depends on the decisions you made in the previous games. In this manner, it’s largely predictable. For instance, if Mordin survives Mass Effect 2, and the player chose to preserve data about a genophage cure in said game, then Mass Effect 3 plays out a cure to the Krogan Genophage. Knowing that there are multiple dimensions of answers gives the game staggering depth and makes it a pay-off for hours of intense investment in the previous installments. A game like this should take pride in the accomplishments it makes with the characters. Rarely have I cared as much for characters in a PS3 game as I did for Mordin, or Wrex, or Joker, to name but a few. This is where the game shines: in reminding players of just how awesome this team is and what we stand to lose by leaving Mass Effect 3 once we’ve finished it. That being said, the story has a huge stumbling point, and you probably guessed it if you’ve paid attention to the news across the web. As the final installment in a trilogy of videogames, Mass Effect 3’s inherent and lasting value is dictated by the quality of the ending. Befitting a Bioware game, Mass Effect has somewhere near 5 endings. I have to say that this game’s ending is frustrating at best and functional at worst. Inadequacy threads together the game’s many endings and after 40+ hours of investment in this game alone I think I deserved better. I’m not asking for a bow on top of a fairytale ending, but I am asking for something sensible and worthwhile. Blowing up the relay network has notes of poetic truth: freedom from the Reapers includes freedom from their technology, namely the relay network. It’s really what comes next that’s just…well…weird. Thinking about it logically, several alien fleets are now stranded at Earth: many of their home worlds too far away to reach by conventional FTL. For some bizarre reason, the Normandy was using the relay network and crashes on an alien world as a result of the network’s destruction. The Citadel explodes and presumably kills all 17 million occupants aboard. It doesn’t take a Mass Effect afficianado to realize that the logistics of this ending are nightmarish, even when blindly accepting the narrative through suspension of disbelief. If Earth is wrecked, how are the alien fleets that are supporting me going to survive? In my play-through I had the Geth, the Krogan, the Asari, the duo dextros (Turian and Qurian, who by the way simply CAN’T survive on Earth), the Salarians, and the Human fleets at Earth for the final battle. Assuming not all of them die, that’s a boatload of people stuck at the burned-out human homeworld. Assuming all of them perish because of this logistical nightmare of an ending, is this what I played for? To sentence my allies to death to save my world? Oh, and not to mention how bad it must be to be a Quarian in this situation: I helped you guys get your home world back and then stranded you at mine. The least that can be said is that Mass Effect 3 delivers a sensation of incompletion through it’s weirdly abstract ending. I get not wanting to blanket us in closure; but a concrete ending is better than 4 minutes of metaphysical meandering, especially when I’ve spent 3 games working towards this final conclusion. There are some redeeming aspects, I guess: If you’re going for the post-apocalyptic, ‘Earth is the new cradle of galactic life’ vibe then Mass Effect 3 delivers. My biggest beef is that in the 4 minute cutscene that formulates the ending, I get no closure for the characters I truly care about: my squad. Are Tali and Garrus going to die because they’re stranded on Earth, a world that can’t support them? Why was Joker piloting the Normandy AWAY from the vaunted final battle? And how did EDI wind up with him when she was in my squad on Earth? These aren’t the right types of questions to have me asking at the end of Mass Effect 3; and therein is the distinction: it is great to have an ending that gets people talking by positing the right questions, but you have to know WHICH questions are the right ones. Inevitably, what we get from this game’s ending, in a shrewd and unappreciative manner, is what Mass Effect 3 promised to give us all along: an end to the Reaper invasion. That and nothing more. Moving onto gameplay, Mass Effect 3 boasts the same addictive and fun gameplay that the first two games possessed. I can’t get enough of running around and shooting reapers with my incineration ammo. I love the weapon mods that this game introduced, they were fun and added a splash of customization to an otherwise drab inventory. The only thing that works against the gameplay in Mass Effect 3 are the same things that plagued Mass Effect 2–bugs and other glitchy issues that are largely restricted to combat in cramped spaces dotted with wreckage. Needless to say, these problems can be frustrating and nearly horrific at times, but any poor taste is overwhelmed by the genuine fun of the combat. I loved ducking and strategically firing, especially when my gun lights the enemy on fire. And nearly all the enemies are grey or silver, so there’s some poor visibility there too. Beyond Shepard sticking to cover or accidentally going to cover, problems the other two games had, there’s not much to cry over. Bioware brought the Citadel’s Presidium back to my delight and returned its crown from Omega as the space station hub of the game. When I review games I have a triplet of categories: story, gameplay, and music. As I near the end of my review I turn my attention to the music. Remember when they advertised that Clint Mansell would be composing? Yeah, I did my homework and it turns out the much-touted composer of The Fountain and Requiem for a Dream did all of, like, two tracks for the game. The majority of the rest of the soundtrack was handled by series veterans Sam Hullick, Sascha Dikiciyan, Christopher Lennertz, and Cris Velasco. Too much of the game sounded like Mass Effect 2, only to have momentary bursts of cinematic score, for me to believe that Mansell did as much of the soundtrack as advertised. What’s more, Vigil’s theme, which originally appeared in Mass Effect 1 on Ilos, recurs across Mass Effect 3 when they need a rousing, emotional score. I don’t have a problem with it, the track is amazing if you haven’t had a listen, but they couldn’t have redone it for the final installment of their epic fantasy? Aside from these few observations, I don’t have a great deal to say about the soundtrack. Mass Effect demands your attention except for those few cutscenes where you get to sit back and relax, and the music isn’t hugely impacting—rarely demanding your attention. So what does Mass Effect 3 boil down to? In the scheme of things, is it an A or a B or a C? I have problems assigning that type of grade because it reduces too complex an effort to overtly simplistic tones. If you played the first two, you must play the final game. It is an incredibly well done, fun, emotional game that provides a high return on the $60 bucks it costs to play. It has shortcomings, monumentally the ending, but the sum of its parts outweigh the poorly constructed ending and deserves your attention. I applaud Bioware on a successful, titanic effort that few games dare to reach for. I have my qualms with Mass Effect 3, but like any work of art, it must be experienced rather than explained, and I wouldn’t have it any other way.